Looking back on 2010, we have seen lots of new faces shine through and out perform some of their older peers. Also, I have managed to get myself some new favourite actors during the year. Even though they have been in plenty of movies up until now, there has always been one which makes them a household name. And that's what they deserve. 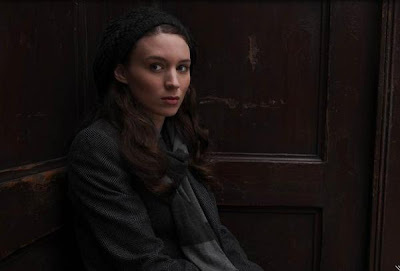 Rooney Mara probably became more famous this year due to her casting as Lisbeth Salander in David Fincher's 2012 edition of The Girl with the Dragon Tattoo﻿. While Kristen Stewart, Carey Mulligan and other more well known actresses were in the running, Mara, whose previous claim to fame was the horrible remake of A Nightmare on Elm Street, managed to beat them all to a coveted role which is sure to make her an international star. It wasn't just that, though. Mara appeared in three scenes of The Social Network, and managed to make sure those scenes counted. With a lack of girls in that movie, she sure knew how to rattleout Aaron Sorkin's words better than the rest, and deserves props for making the opening scene what it was. 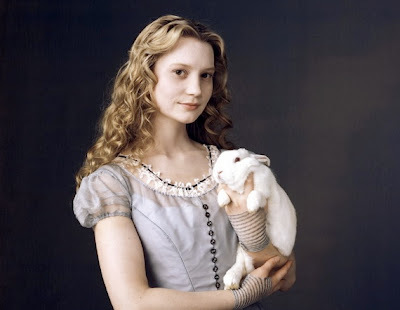 While many people hated Tim Burton's version of Alice in Wonderland, there was no denying that the girl playing Alice, Australian actress Mia Wasikowska, was sweet and angelic, and one to watch in the future. Alice wasn't her mainstream debut, as she had previously starred in films like Defiance﻿, but being one of the highest grossing films of the year, it sure made her known. Add in a star turn in comedy The Kid's Are All Right, and Wasikowska is the next big thing. Next year she is only furthering her talents by starring in another adaption of Charlotte Bronte's classic book Jane Eyre. Two adaptions of classic books...I smell success here, yes? Jennifer Lawrence deserves a place on here because she is going all the way to an Oscar nomination for her turn in Winter's Bone, despite being just 20 years old. ﻿Leading up until her breakthrough in Winter's Bone, she starred in several direct-to-DVD releases like The Poker House, and also has a recurring role in The Bill Engvall Show. But her sole release for 2010 has been getting rave reviews from critics mainly because of her performance, which should give Natalie Portman a run for her money come Oscar time. 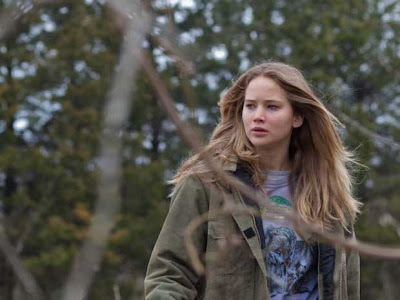 And it doesn't look like Lawrence is going to be a one-movie wonder...she's got The Beaver and X-Men: First Class for 2011! I couldn't help but put Gemma Arterton on this list because she has been popping up everywhere lately. ﻿Even though she starred in 2008's Quantum of Solace, which got her some attention, it has really been this year which has made her a star. Not only did she star in two big blockbusters this year-Clash of the Titans and Prince of Persia: The Sands of Time-but she alo found time to do three other projects. First, a sequel to her debut film, St. Trinians 2 & the Legend of Fritton's Gold. Second, an independent British thriller, The Disappearance of Alice Creed, which is probably the best she has starred in this year. And finally, a Stephen Frears British comedy, Tamara Drewe, based on the graphic novel by Posy Simmonds. One would say it has been a big year for Arterton, and we can expect much more from her in the future! As I have said plenty of times before, Emma Stone has always been the best part of bad movies, and hasn't seemed to get enough credit for it. But finally, someone had the sense to cast her in the lead role of a great teen comedy, E﻿asy A, and look what happened? A star was born, and now everyone loves her. Because it's hard not to fall for her charm and witty humour. And what could be better than a whole movie with her in the lead role? I don't know. All I know is that there should be more movies like Easy A, because she is a better actress to get obsessed with than Kristen Stewart. Yeah yeah, Jesse has been in Zombieland which was pretty big. But everyone thinks he is Michael Cera in that movie! The Social Network should prove all those non-believers wrong. 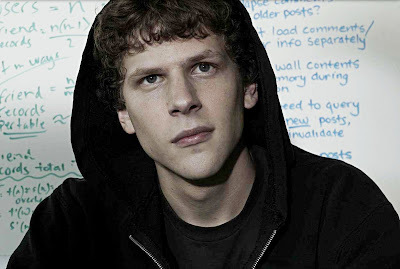 Delivering what could have been the performance of the year, Eisenberg seemed to shrug off the awkward persona he gained from movies like Adventureland and became more narcissistic and scary as Mark Zuckerberg. Now tell me that wasn't the star making performance of the year? It's hard to believe that was the same person. Could he win an Oscar? If he can beat Colin Firth. Which is, in fact, very likely indeed. ﻿Andrew Garfield deserves the top of my list because he just is Andrew Garfield. I'm in love with him. Of course, that comes from his star making performance as Eduardo Saverin in The Social Network, for which he has been nominated for a Golden Globe and has won an 'Actor of the Year' award for a breakthrough performance from the Hollywood Film Festival. Leading up to this star role he had already won a BAFTA for his performance in TV film Boy A; had starred in such Hollywood films as The Imaginarium of Doctor Parnassus and Lions for Lambs; and gained mass critical attention for his work in The Red Riding Trilogy. 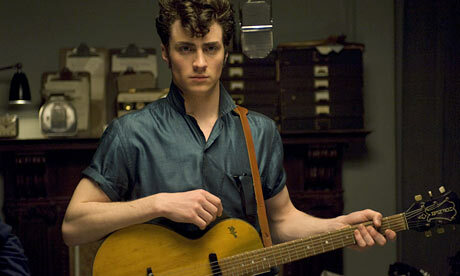 Everything he does has had the critics raving him, including his other 2010 release, Never Let Me Go. And it seems it will only get better as he nabbed the leading role in the Spiderman reboot. Is he taking the world by storm? Yes. Do I mind? Not one bit. Thanks for sharing the information regarding top ten actors and actresses who got their breakthrough in 2010,﻿Tom hardy﻿ deserves the top of my list.